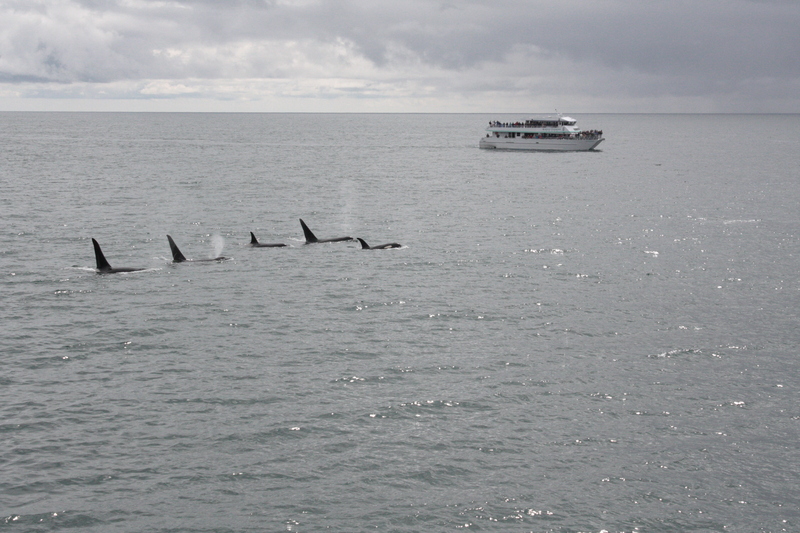 A resident pod of orcas that we hadn’t seen in a few weeks came back to visit, apparently while out to sea they were busy practicing the underappreciated art of synchronized swimming. This entry was posted in Alaska, Wildlife and tagged resident orcas. Bookmark the permalink.